Are you getting enough quality calls or sales as a result of your website or online directory profiles? Whether you’ve recently seen a dip in referrals, have never had much of an online presence or are completely new to the online world, the sooner you understand the importance of search engine optimisation (SEO) the better. Search engine optimisation is the science and art of ensuring a business or organisation’s webpage’s are not just visible but prominent. With over 80% of customers researching products and services online before buying, the importance of standing out online can’t be stressed enough. 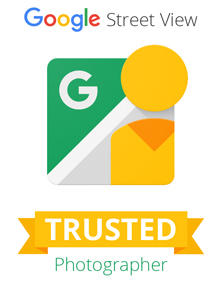 360 Spin will use our expertise and experience to place your products, services or information right in front of the customers or enthusiasts who are actively using search engines such as Google, Bing and Yahoo! to find them. Unlike paid and sponsored advertising solutions like banner advertising and pay-per-click (PPC), SEO focuses on increasing the free, natural (or ‘organic’) traffic arriving at your website, improving its online visibility. The alternative is to allow your website to sink into obscurity while your SEO savvy competitors start to climb the rankings ladder. Depending on the size and nature of your business or organisation, you might need to target a global or more of a local target market. Global and local SEO require very different strategies and 360 Spin can help you to focus your attention in the right areas and in the right way. 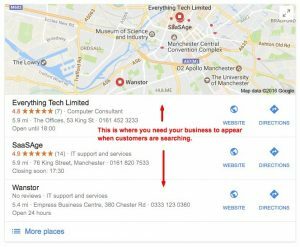 For example, our local SEO strategy will help ensure that your business is set up on Google+ Local and maximise the chance that it will appear in Google’s ‘three-pack’ whenever a mobile user is in your neck of the woods. Whether you opt for global or local SEO, or a mixture of the two, your webpages will need to be relevant to what your customers are looking for. This means that content should accurately reflect what you have to offer and that other reputable websites you link to are logically related to yours. 360 Spin can give your existing or brand new site a thorough evaluation and, where necessary, a complete overhaul. There are numerous factors which work together to create a well optimised webpage, but one of the most important is the quality and structure of the page’s content (words and images). This is why 360 Spin work with experienced professional writers who know how to provide compelling copy which both engages human visitors and stands out as relevant to the search engine software. 360 Spin will also help you to structure your website to maximum effect, attending to both the underlying coding and the words and pictures that your customers see. For example, we will ensure your pages have correctly formatted title and description tags, contain relevant keywords (to act as signposts to the search engines), make optimal use of headings and sub-headings and that your onsite images are correctly tagged so that they can register on image searches. Can you Afford to Sit Still? Above all, understand that SEO is a dynamic, ever-evolving process providing opportunities to those who are quick on the draw. Even if your website was optimised when it was first set up, chances are it may be in need of an SEO overhaul now, particularly if it has been running for over a year. Search engines such as Google Search regularly update their algorithms (the ‘recipes’ that create a well optimised site) and adapt to new trends and technologies (social media, mobile computing, etc.). If you miss a trick, your SEO-aware competitors could easily take advantage and steal a lead. 360 Spin keep on top of the changing landscape of search engine optimisation so you don’t have to. Call us today on 0161 610 9360 for a free consultation.